Sponsored by ESOL/NYCCT and NYS TESOL; Introduction by Lubie Alatriste. 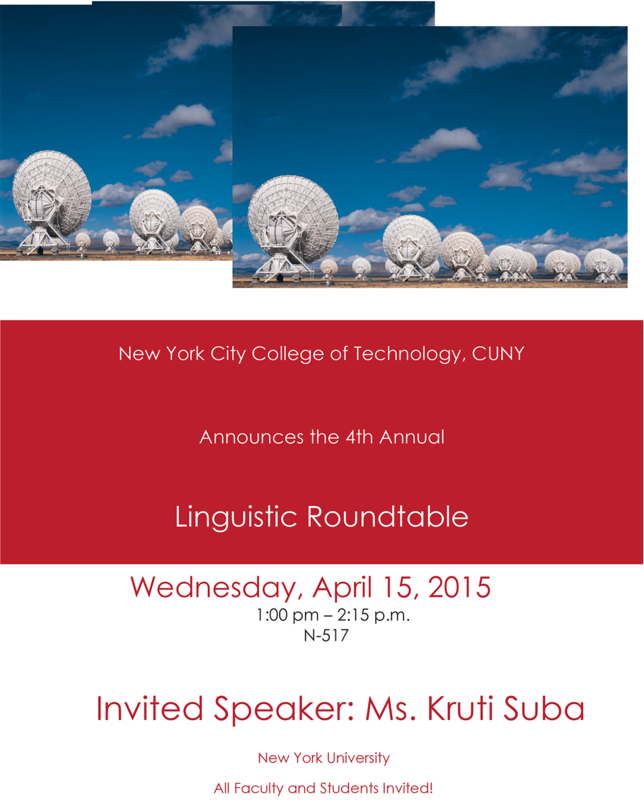 Please join us for our 5th Annual event hosted by the ESOL program in the English Department: Linguistic Roundtable, on April 14, 1-2 PM, in N500. 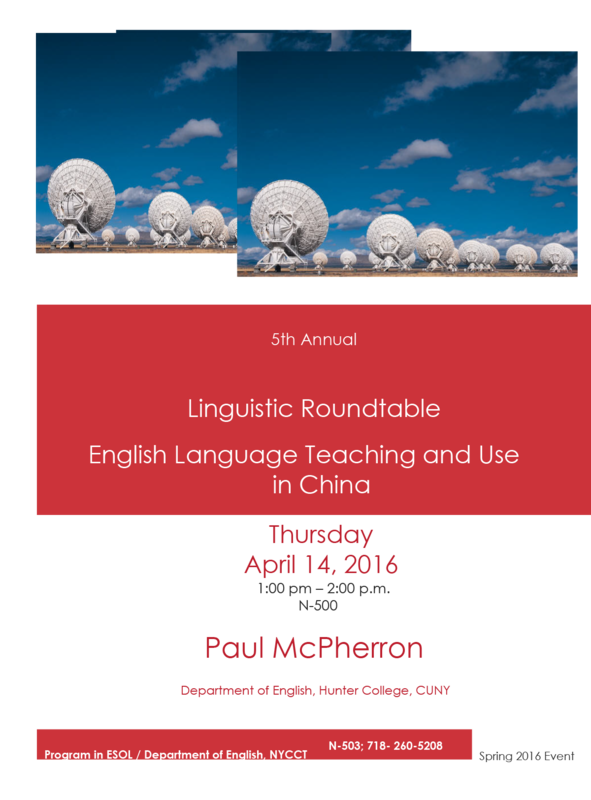 This year, Prof. Paul McPharron from Hunter College, will talk about his research on Teaching English in China and how that affects our own classes when Chinese students immigrate to USA. Since NYCCT has a large Chinese student population (mostly born in China), this talk promises interesting and useful insights into linguistic and other challenges educators face in their language and content college classrooms. Wednesday, April 15, 2015 1:00 pm – 2:15 p.m.
All Faculty and Students Invited!